Twin Pines is a 50 acre property located in Lambton Shores, Bosanquet Township in the County of Lambton. It is set on the sandy loam beach ridge (known as Fox Soil) between the shores of the old Lake Burwell and a limestone dolomite ridge. The land is rich with naturally occurring aquafirs and is perfect for growing fruit. The farm has been established at a unique division point between the Great Lakes Forest Region and the Carolinian Forest Region. You will find trees from both regions such as Shag Bark Hickory, Tulip Trees, Butternut, Black Walnut and several Oak species. Conifers include red and white Cedars and Pines. Plant life include wild Black Caps, Elderberries, Strawberries and Raspberries. This area is abundant with White-Tailed Deer, Coyote, as well as Red Fox and we are on the flight and feeding path of the Arctic Tundra Swans. Twin Pines has approximately 40 acres planted in fruit. 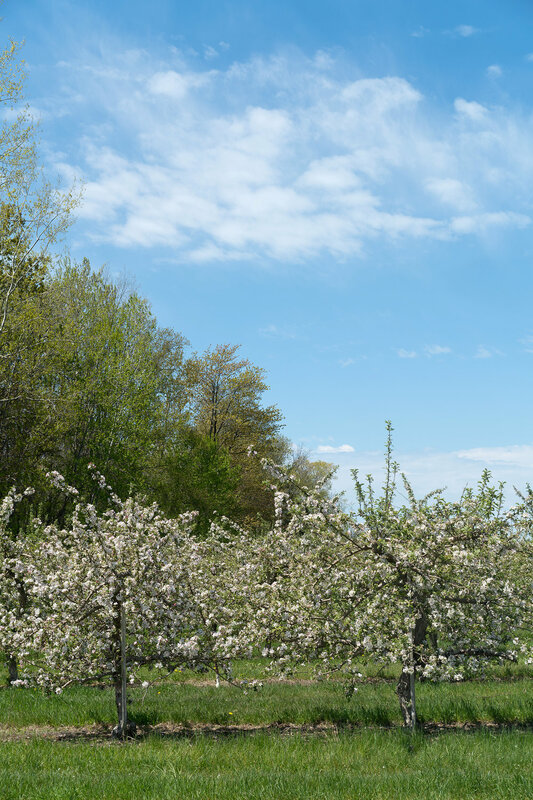 Currently, the farm produces well over one million pounds of apples from 25 commercial varieties as well as approximately 15 heritage and specialty cider varieties. Twin Pines is designated an Integrated Pest Management orchard. Simply, this means that Mark and Mike are certified and trained to count and identify bugs in the orchards and determine when (if at all) to protect the apples with a spray. This approach to fruit growing allows for an incredible reduction in over-spraying and over-use of pesticides. We are proud to be an IPM orchard and provide fruit that has as little additional sprays as possible. We also have procured an additional 10 acres solely dedicated to fruits and vegetables completely grown without pesticides or herbicides. Visitors to Twin Pines can take comfort in knowing that all of the preserves made in our kitchens incorporate these wonderful fruits and vegetables. Even better, visitors can purchase the many vine crops that are grown pesticide-free to take home to their own kitchens! By far, the most important ingredient that has built the foundation and philosophy of Twin Pines is the amazing strength and support of the entire family. Without the endless hard work and vision of our parents, Joe and Alma, enhanced by the commitment of each and every member of the extended Vansteenkiste family, Twin Pines would not be the kind of incredible place that it has become. 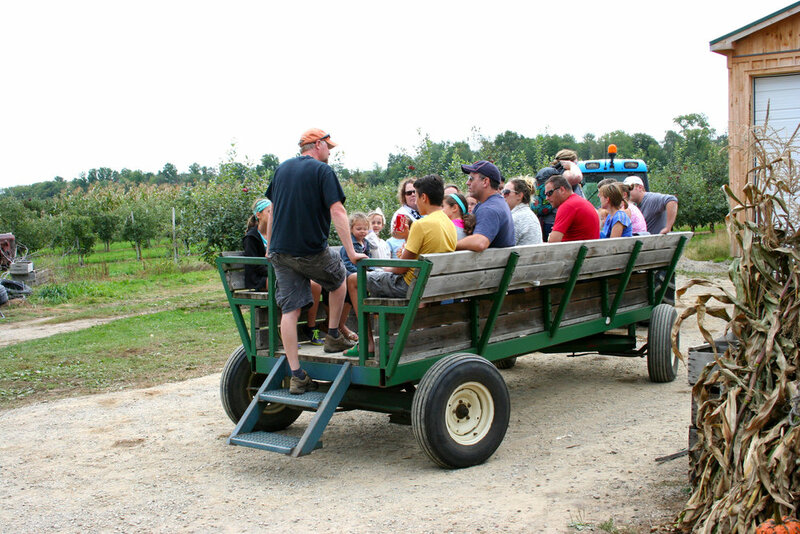 If you visit, you will find members of the whole family behind the counter, bagging apples, lifting pumpkins, making doughnuts , directing parking and chatting in the tasting room. We are all here at Twin Pines and we invite you to see for yourself, what we are all about! Twin Pines is committed to taking care of the land that provides us with the food we eat. We realize that this pursuit is not just about growing good things to eat - it's about how to grow food in a better way; that is better for our health and for our earth. 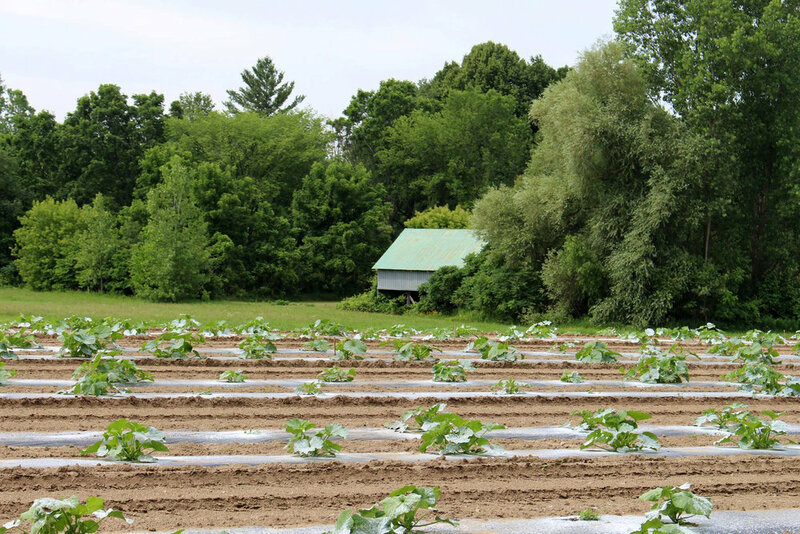 Twin Pines has reserved a portion of the farm that is completely grown without pesticides. Included in this pesticide-free area are vine crops such as pumpkins, squash, tomatoes, strawberries, nectarines, peaches and assorted varieties of apples. 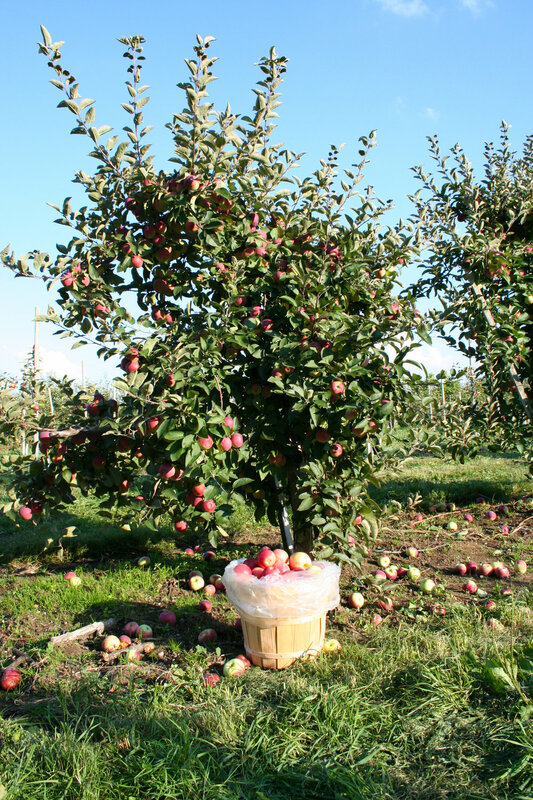 The remainder of the orchard is designated as an IPM orchard (Integrated Pest Management). Mark and Mike have been trained and certified to scout for both good and bad insects in the orchards and gardens, and as a result they can determine when they must use sprays to protect the apples, but more importantly, they are able to determine when spraying is not necessary. We are proud to work hard at maintaining this approach and philosophy of farming.